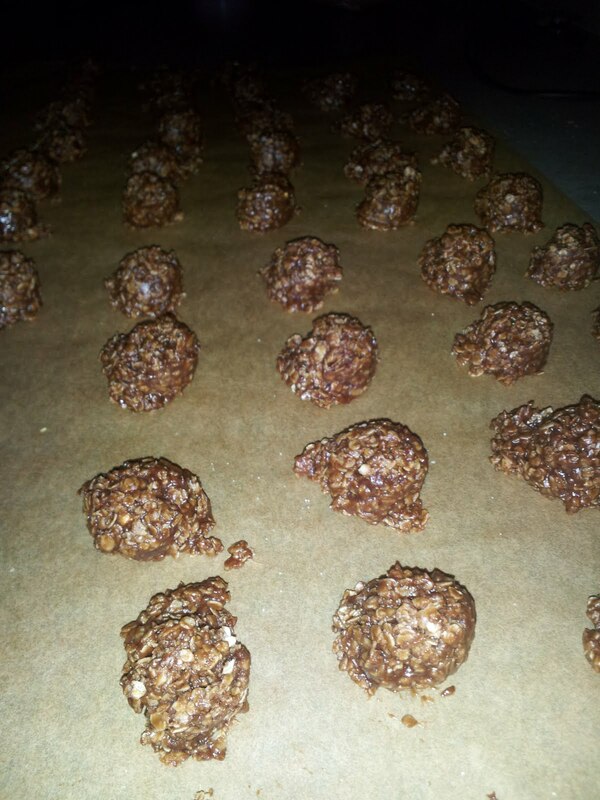 I'm getting ready for a super wedding weekend, which kicked off with a manicure/pedicure and a little no-bake baking. I haven't gotten my nails done since I got married more than two years ago, so I would say I was due. It was absolutely fabulous, especially given the miles I've been longing while training for the Fort2Base Race, which is now less than a month away. Pedicures need to be part of my future training plans. I got blue toes and light pink nails. No, the dresses aren't this color, but it's one of the accent colors, so I thought I'd go for it. On the back of my last successful baking extravaganza for Rachael's bachelorette party, I had to come up with something fab for the morning while we're getting ready. Alas, we're running out of ingredients because we're trying to clean out the pantry. 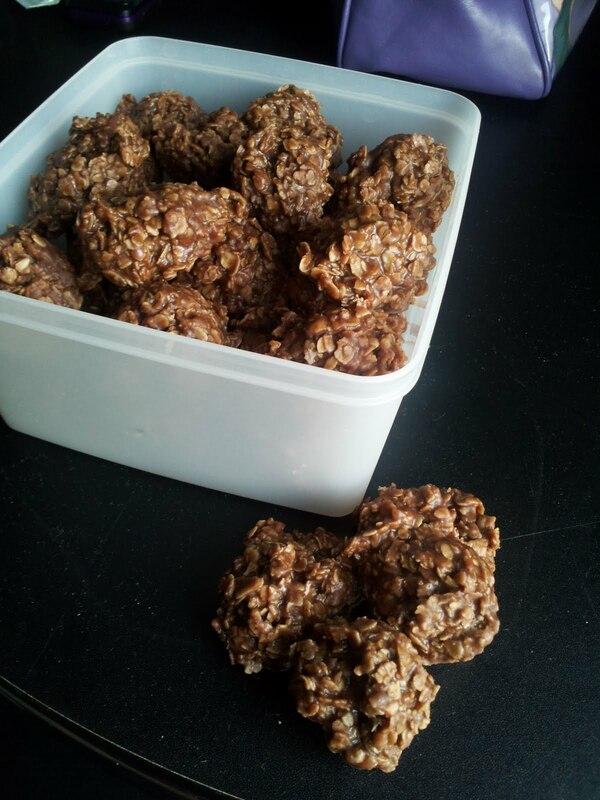 So I decided on no-bake cookies, and these were awesome. I ate like six (or 10) before boxing these up and hiding them on myself so that I didn't polish off the whole batch. Combine the sugar, cocoa, butter and milk in a pot and bring to a boil for one minute. Remove from the heat and add the peanut butter and vanilla and stir to combine. Stir the mixture into the oatmeal until combined, then spoon on one-inch balls onto parchment paper. Allow to cool, which will take at least 15 minutes. Try not to eat a dozen like I did.